Genuine Leather Belt Strap is 1 1/4" wide and tapers to 1" at both ends. Featuring a 4 piece Buckle set with a Silver finish. 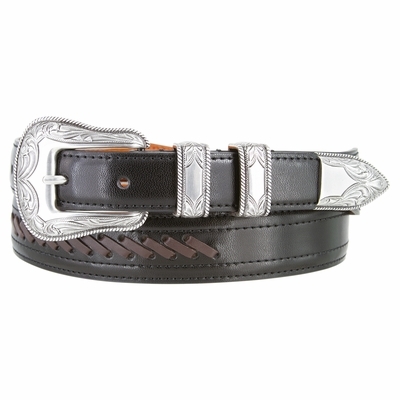 Western Style Genuine Leather Black Belt with 3 sets of Brown 1/2 stitch pattern leather lacing weave spaced evenly along the belt.